You are here: Home | Exhibitor search | ATP Electronics, Inc.
ATP Electronics is a leading provider of high-performance, high-quality and high-endurance NAND flash products and DRAM modules. 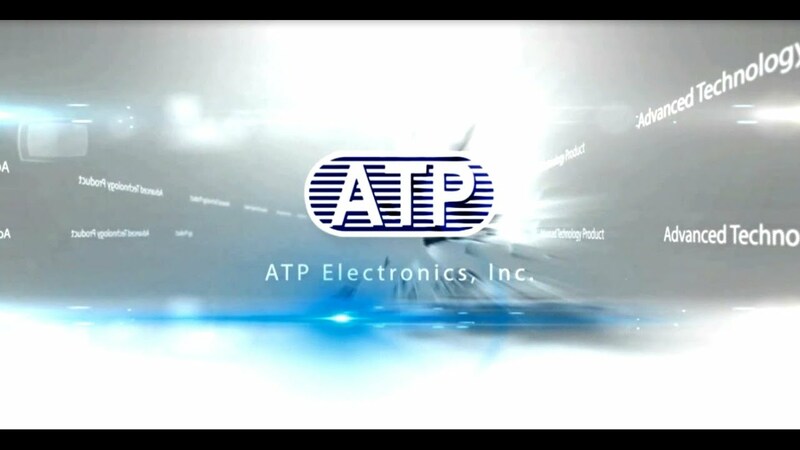 With over 25 years of manufacturing expertise, ATP ensures that all its products are designed and built to accomplish mission-critical tasks in industrial/automation, telecom, medical, automotive, and enterprise computing applications where high levels of technical proficiency, manufacturing quality, and wide operating temperature ranges are required. ATP is a certified Eco/Green partner of tier one OEMs and all ATP products are fully RoHS and China RoHS compliant. A true manufacturer, ATP manages every stage of the manufacturing process to ensure quality and product longevity, offering in-house design, testing, and tuning from component to product level. ATP supply chain support includes controlled/fixed BOMs and long-term product life cycles. For more information on ATP Electronics, please visit www.atpinc.com or contact us at Info@atpinc.com. Combined with ATP’s wafer packaging and testing capabilities, ATP 3D NAND based SSDs including M.2, mSATA, SlimSATA, 2.5” SSD, eUSB and memory cards, provides a new level of product differentiation targeting the industrial and embedded markets. 3D NAND technology is a transformational shift from the traditional SLC/MLC/TLC planar NAND technologies. It has become the new flash storage technology of choice, primarily focusing on both the client and enterprise SSD markets today. Inevitably the 3D NAND usage will propagate to the embedded markets such as industrial, IoT, medical, automotive and telecom. To be at the forefront of this technology shift, ATP has taken the initiative to adopt 3D NAND for its next generation embedded SSDs, in order to gain early understanding on the ins & outs of 3D NAND under extreme conditions, in order to better provide the solutions suitable for these niche markets where traditionally SLC/MLC technologies were deployed. In addition, by taking 3D NAND wafers to package its own BGAs and TSOPs and testing to specifications, ATP is able to provide a multitude of various chip densities using DDP, QDP and even ODP die-stacking while using the same wafer stock. This provides not only the flexibility in supply chain, but also enables ATP to ramp multiple product densities quickly. These new ATP 3D NAND solutions benefit the embedded customers with the high reliable, high available yet cost-effective storage solutions while mitigating supply risks in this volatile market. ATP Industrial Temperature (ITemp) MLC NAND Flash Solution strikes a great balance between cost as well as placing memory reliability as its priority. By conducting strict ITemp validation testing technologies in both IC/NAND Flash level screening processes and H/L temperature tests, MLC type NAND Flash reliability is ensured and uncompromised in extreme temperature environments (-40°C~+85°C), placing itself in the market segment where normally SLC type NAND competes. DDR4 2666 MT/s is the newest generation of fast, performance-oriented DRAM modules, which combines high-speed data transfer and low power consumption (1.2V) with expandability, making it ideal for gaming and industrial grade high-performance computing (HPC) applications requiring high density, low power, great scalability and efficiency. DDR4 is optimized for the latest Intel® Xeon® Platinum, Gold, Silver and Bronze Scalable processors and 8th-generation Intel® Core™ i7/i5/i3 processors. The increased interface speed from 2400/MTs to 2666 MT/s amplifies theoretical peak performance by 15%. The bus clock rate of 1333 MHz, internal rate of 300MHz and transfer rate of 2666 (MT/s) will give a boost to the most critical computing applications in industries such as telecommunication infrastructures, networking storage systems, network-attached storage (NAS) servers, micro/cloud servers, and embedded systems like industrial PCs. ATP Electronics maintains a wide arrange of options for DDR4 2666, including RDIMM, ECC UDIMM, ECC SODIMM, and UDIMM. ATP e.MMC is built to meet the tough demands of industrial applications. As a soldered-down solution, it is secure against constant vibrations. Its industrial temperature rating means that severe scenarios from freezing cold -40°C to blistering hot 85°C will not cause adverse impact on the device or the data in it. Compliant with the latest JEDEC e.MMC 5.1 Standard (JESD84-B51), ATP e.MMC features Command Queuing and Cache Barrier to enhance random read/write performance; High Speed 400 (HS400) DDR Mode for a bandwidth of up to 400 MB/s; and field firmware update (FFU). Cache Flushing Report ensures the data integrity on cache blocks; Enhanced Strobe in HS400 Mode facilitates faster synchronization between the host and the e.MMC device; and, Secure Write Protection ensures that only trusted entities can protect or unprotect the e.MMC device. It is backward compatible with previous versions (v4.41/v4.5/v5.0), supporting features such as power-off notifications, packed commands, cache, boot or replay protected memory block (RPMB) partitions, high priority interrupt (HPI), and hardware (HW) reset. M.2 is formerly known as the next generation form factor (NGFF) SSD, a blueprint for internal expansion cards in computing systems. Successor of the mSATA standard that utilizes PCIe mini card connectors and layout. Ideal for industrial uses due to its high speed data transfer rates and long endurance in industrial and rugged environments. The M.2 2280 NVMe SSD via PCIe Gen3x4 interface is specifically designed for niche applications for server / networking, data center, thin client and mission critical industrial alike applications. By adopting NVMe 1.2 specifications and integrating 3D NAND MLC technology, ATP’s M.2 2280 NVMe SSD is constructed via a PCIe Gen 3x4 interface offering up to 1TB of memory capacity and boosted performance that exceed the previous bottleneck of AHCI standards, delivering Sequential Read 2,540 MB/s and Sequential Write 1,100MB/s. ATP's Next Generation Form Factor ( NGFF ) SSD with NVMe protocol and PCIe interface, delivers up to 1 TB in memory capacity and unprecedented read / write speed up to 2x ~ 3x the SATA interface bandwidth; this setup maximizes the capability of high-speed PCI Express storage devices to perform multiple I/O (in/out) operations in parallel to fulfill the demanding responsiveness for all high-end enterprise storage systems. SSD are not created equal, while the market strives for performance in NVMe SSDs, ATP takes a step further instead in carefully considering aspects of enhancing memory longevity and reliability for mission critical environments. This includes careful selection of BOM planning with key suppliers, and adding wide temperature and extreme power cycling testing. Heat dissipation is one major issue commonly encountered for NVMe. Through temperature feedback and optimized thermal throttling mechanism, ATP’s NVMe may avoid drastic performance drop or possible damage to controller caused by overheating. ATP's NVMe based M.2 2280 SSD provides performance specifically tailored for an array of applications such as server/networking, data center, thin client, mission critical and industrial applications. ATP SD cards are the ideal storage format for industrial and automotive applications as they can be conveniently inserted into and easily removed from small host devices for convenient data transfer and storage expansion. Made to perform dependably under rigorous conditions, ATP SD cards are designed with extensive longevity, which is typically required in industrial applications such as automation, networking, health care and more. ATP SD cards also deliver the quality, durability and reliability to meet the requirements of major automotive OEM/Tier 1 suppliers, system developers and service providers for higher levels of data accuracy, consistency and integrity in applications such as maps/navigation systems, in-vehicle infotainment (IVI), Advanced Driver Assistance Systems (ADAS), and other data- intensive applications. These solutions can withstand extreme temperatures, dust and shock/vibration, and maintain data integrity under power cycling or sudden power-off events.